Former Real Madrid coach Zinedine Zidane was extraordinary for the club, but his successor Julen Lopetegui wants to move on. Julen Lopetegui says Zinedine Zidane was an "extraordinary" coach for Real Madrid but he is determined to write a new chapter in the club's illustrious history. Lopetegui was subsequently named as Zidane's successor, although he was fired by Spain on the eve of the World Cup after his appointment was confirmed. The new boss is preparing for his first competitive game in charge, as they take on rivals Atletico Madrid in the UEFA Super Cup in Tallinn on Wednesday. And while Lopetegui appreciates the platform that was left in place by the departing Zidane, he wants to move on from the Frenchman's era. "Zizou did an extraordinary job and got incredible titles," Lopetegui told a news conference. "But this is the past, now we are focused to keep on getting them, keep making history and we have to try to be better and better in all aspects. "And we'll try to do it, and don't look back. We have to look forward with confidence and work." Madrid are yet to replace key player Cristiano Ronaldo after the Portugal forward left for Serie A champions Juventus in a deal worth €112million. Gareth Bale and Karim Benzema, who both scored in the Champions League final defeat of Liverpool, are expected to take extra responsibility in Ronaldo's absence. "Gareth is a player we love to be with us," Lopetegui said. "He has been at Real for many seasons and has been training since the very beginning in an extraordinary way. "He is so motivated, and he is a very important player for the team. He is part of the team, and it is important now for us to be a team in all aspects of the game, full of great players as Gareth. "I'm not going to talk about Gareth's past, just the present I saw, and we are pleased with his attitude, his work, and his aim. "I can't talk about the past but Karim, the same as Gareth is a player that I always liked. I think he is so good in all aspects and his attitude is great since the first day, working a lot, and trying to help the team." Madrid's biggest addition ahead of the 2018-19 campaign is Thibaut Courtois, the Belgium international joining from Chelsea, but Lopetegui would not confirm whether the goalkeeper would go straight into the side in place of Keylor Navas. 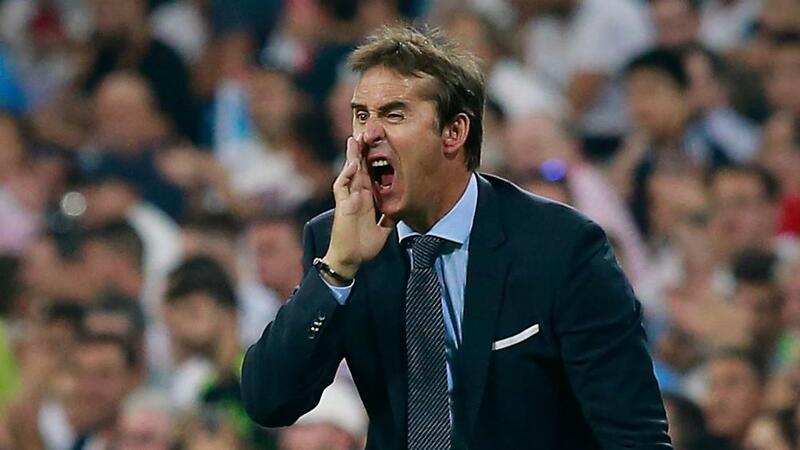 "Yes, I know who is going to play tomorrow," Lopetegui said. "But I'm not giving the team today, as the rival didn't do it. But yes, it is clear."